EVE's senior producer says CCP will consult with players over vanity items, and denies that game-changing goods like ships or stations will ever be for sale. It looks like EVE Online developer CCP might by going back to the drawing board with its virtual clothing store. 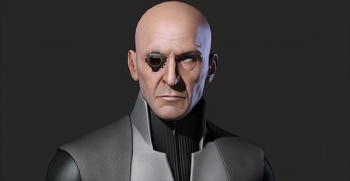 In a post made on the official EVE blog yesterday, senior producer Arnar Hrafn Gylfason said that CCP would meet with the Council of Stellar Management - a group of player-elected representatives - in Iceland in order to hammer out a better strategy for virtual goods and services. Gylfason's announcement followed a much less conciliatory blog post he made on Friday where he defended the high price of the clothing, saying that people should expect to play high prices for designer brands, even when they were digital. He also rejected the idea that the "Greed is Good" newsletter, which suggested that CCP would also sell things game-changing items like ships and space stations for actual money, reflected actual CCP policy. The point of the newsletter, he said, was to generate internal debate around the issue of microtransactions. He later apologized for the tone of the post, saying that he had been stressed out by a breach of trust at CCP, presumably referring to the leaked newsletter. He also denied that CCP was planning to ever sell game-changing items for real money. To many people, Gylfason's posts are going to look a lot like damage control after a badly thought out pricing structure followed by a rather public gaffe. The idea that nobody meant what he or she wrote in the newsletter is not outside the realms of possibility, but it seems a little far-fetched. Making matters worse is a leaked email, supposedly sent by CCP CEO Hilmar Veigar PÃ©tursson, which calls the player backlash a "predictable reaction" that will pass if the company just holds its ground. The email is hardly conclusive proof - it's impossible to verify it as genuine - but it will be interesting to see what comes out of the CCP/CSM meeting on June 30th - July 1st.